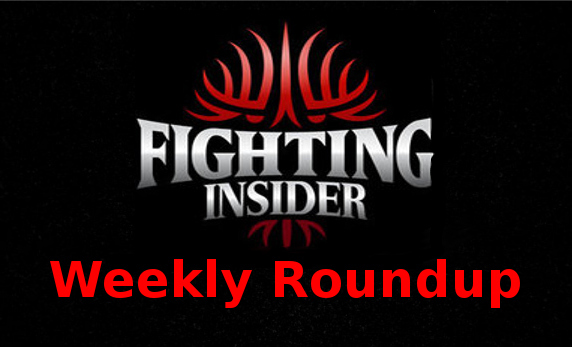 This weeks roundup is all about your favorite MMA fighters that made some noise these past few days — in a good and not-so-good way. From fighters that will be making another step inside the Octagon, to names that is heading out of the promotion, to a guilty Realtor that’s giving up his license to the authority — Fighting Insider got it all here! First on the list is GSP. People here at Fighting Insider is such a big fan of George St-Pierre, that’s why we’re putting his news on top of the list. After his big fight against Josh Koscheck, GSP will be facing Jake Shields to defend his title at UFC 129. More on UFC 129, Randy Couture will give his fighting career another shot. Couture will be facing Lyoto Machida at UFC 129 before he films for The Expendables 2. But his upcoming match is still under consideration. This week from Sherdog, UFC released Brandon Vera and Antonio McKee after their respective losses at UFC 125. Vera was befallen after Thiago Silva pounded him at UFC 125, acquiring his third consecutive loss. McKee, on the other hand, has been fighting before UFC 125. Unfortunately, his promotional debut setback caused him his UFC career. Now, this is the hottest MMA news ever — Chael Sonnen! Just a couple of months after Sonnen failed his UFC 117 post-fight drug test, he’s facing another sentence. Last Monday, Sonnen pleaded guilty for money laundering after illegally netting more than $69,000 of repair loan. With his dilemma continuously mounting, UFC temporarily suspended his contract. More over, Chael Sonnen was replaced by Nate Marquardt to face Yoshihiro Akiyama for UFC 128. Did you missed out more stories? Let Fighting Insider know by dropping a comment.